Although relatively unknown as a coffee producing country, the Philippines has a long history of coffee cultivation that dates back to the Spanish colonial time. Coffee was introduced by Spanish, and is now a much loved drink by Filippinos. The coffee trees brought by Spanish are called “Barako”, and have been grown particularly in Batangas, which lies to the south of Manila. 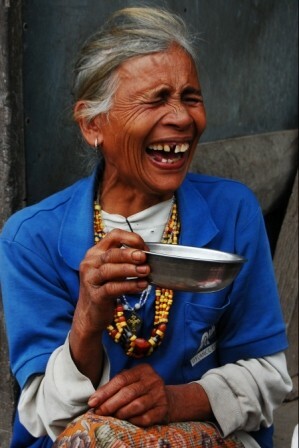 Barako belongs to the species of Liberica, a very rare species worldwide. It has large leaves and thrives at low altitude. Barako is characterized by low acidity and low sweetness with strong bitterness and mud-like flavor. Filippinos have long been enjoying the bitter Barako coffee with lots of sugar while instant coffee in convenient small sachets are recently becoming more popular. In the Cordillera mountain region, northern Luzon, Arabica coffee trees were introduced by Spanish and have been grown without being known widely. Most of them belong to the Typica family. Indigenous people in the mountain region have always had coffee trees in their backyard. After harvesting, they dry red cherries under the sun. Traditionally, they remove the pulp and parchment by using a mortar and a pestle. They roast beans in a clay pot over fire for a long time. For indigenous people, serving coffee was an indispensable part of welcoming visitors. Coffee was also used as an alternative to money and exchanged with rice, salt, and sugar in barter trade. Particularly in communities along foot trails which the Spanish colonialists constructed in search of gold, very old coffee trees called “century trees” can still be found. The coffee in the Cordillera, which has been grown in a small scale, is now attracting attention. In the Cordillera mountain region, people used to lead simple and self-sufficient life by growing rice on rice terraces. However, being influenced by cash economy, their lives are rapidly changing in recent years. Many are forced to clear or burn forests and convert them into commercial vegetable fields. In exchange of money, forests are lost, causing landslides, soil erosion, and water shortage in many communities. Cultivation of Arabica coffee requires shade trees, which give shade to the coffee trees. This means that there is no need to clear forests for growing coffee. Arabica coffee is suitable for areas higher than 700 meters altitude, and can be cultivated on steep slopes in the mountainous region. Arabica coffee can be a cash crop that does not destroy forests. Cultivation of Arabica coffee can help improve the life of indigenous people and protect environment. Because of such advantages, Department of Environment and Natural Resources (DENR), Department of Agriculture (DA), Department of Trade and Industry (DTI), agricultural department of a state university, and NGOs started promoting coffee cultivation by distributing coffee seedlings and providing technical assistance to the communities. Since commercial coffee cultivation started in the Cordillera about ten years ago, the coffee has been appreciated for its excellence in taste and flavor. In addition, as Philippine coffee is still rare in the international market and the green beans can be sold at high price, coffee production is becoming more popular and production area is rapidly expanding. Commercial coffee cultivation is still new in the Cordillera. There is still much to be done in improving coffee cultivation and processing. It is a continuing process of trials and errors. Coffee growers do not have enough knowledge about post-harvest processing, nor equipment necessary for processing yet. There are very few people who are knowledgeable about quality of coffee or who can assess the taste of coffee. Following the recent coffee boom worldwide, Filippinos who have been fascinated by coffee culture in the west launched fashionable coffee shops in Manila, finally making quality coffee available in the Philippines. Coffee shops from Australia, the US, and Japan have started expanding their business to the Philippines. Many coffee shop owners who are interested in the Philippine coffee have also visited the Cordillera in search of quality coffee. Although the Philippine coffee industry is still under development, it has high potential in the international market because the yield and quality are expected to improve as coffee growers will acquire more knowledge and techniques for cultivation and processing. This will support improving lives of indigenous people and protecting environment in the Cordillera. 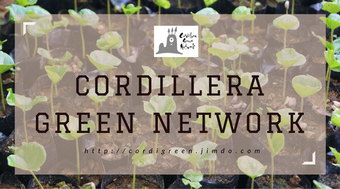 This website introduces Arabica coffee grown in the Cordillera mountain region and its producers, mainly the project beneficiaries of the Cordillera Green Network, Inc. (CGN). 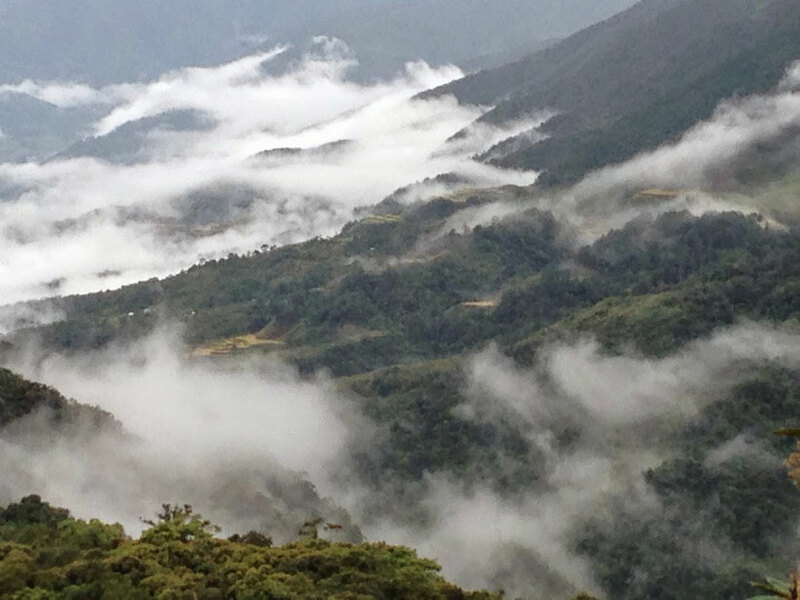 CGN is an environmental NGO based in Baguio City, a center of the Cordillera mountain region. 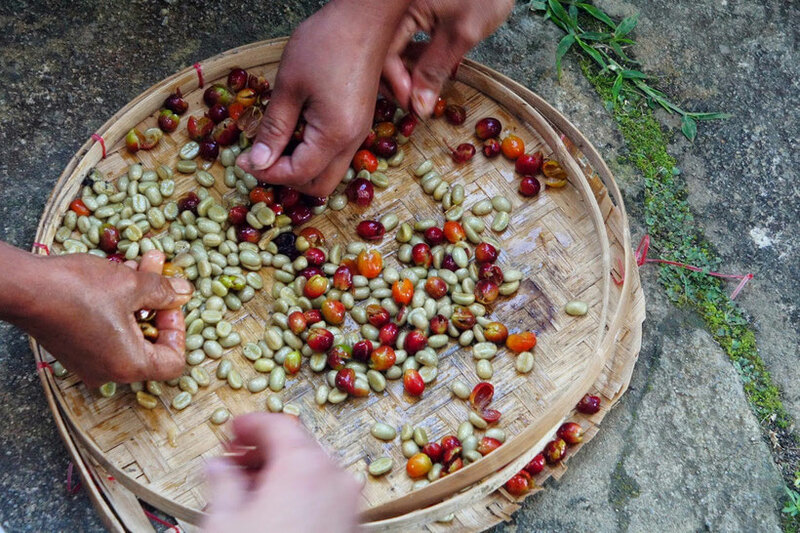 Since 2006, CGN has been promoting agroforestry coffee production in indigenous communities. Now, many of the communities have started harvesting the coffee that they planted in the projects. In order to respond to the needs of the communities, CGN also provides technical advice on post-harvest processing, community organizing, and marketing. It sells green beans and roasted coffee beans at fair price to support the livelihood of the communities. “Kapi Tako” means “let’s have coffee” in Kankanaey, a dialect of one of the indigenous tribes in the Cordillera. Enjoy the rich taste and aroma of our Kapi Tako coffee carefully grown by the indigenous people! !